A client required a ramp to allow access using sack barrows to (un)load furniture. 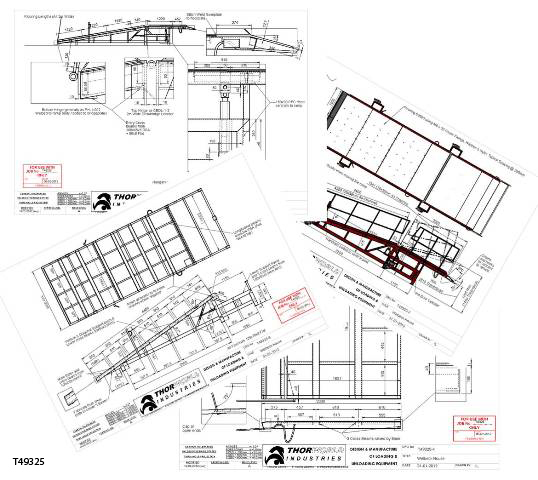 The ramp specification was as follows. 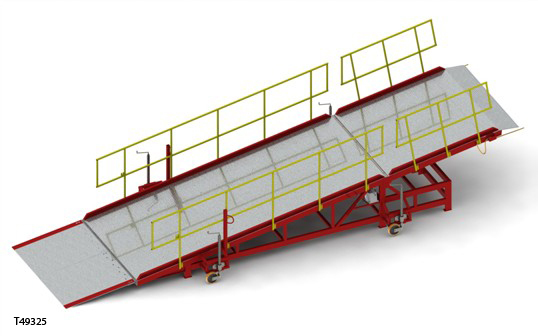 The height variation was achieved using a manual hydraulic handpump to raise the top section of the ramp above the floor of the trailer. The valve on the pump is then opened to allow the ramp to move with the trailers as they move on their suspension. 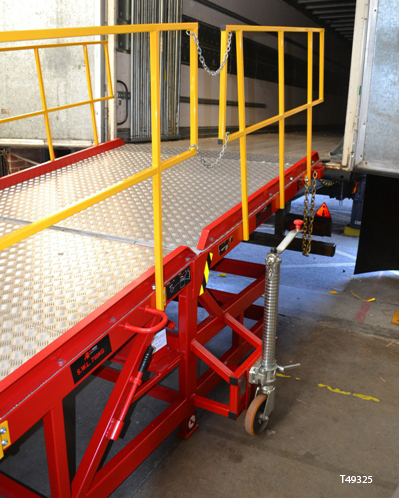 The ramp is connected to the trailer using chains, hooks and tension brackets to ensure they cannot seperate. 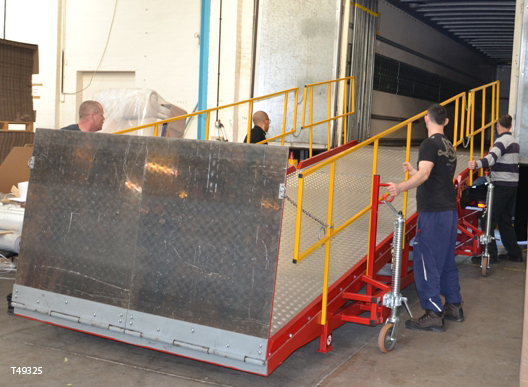 The ramp needed to be lightweight enough to be moved by four operators as forklift trucks were not available on site. 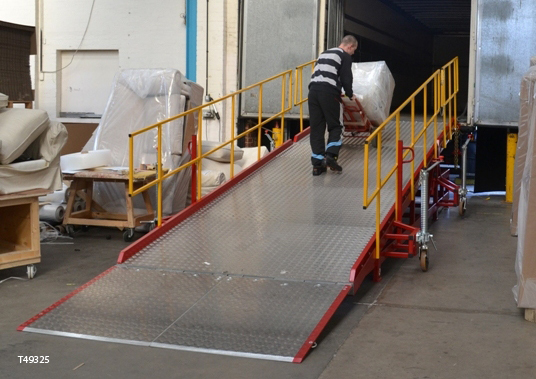 The ramp was fitted with 4 x heavy duty jockey wheels to allow the ramp to be moved between each loading door on site.